Guerilla Exhibition are teaming up with Cork Analogue Photographers to create the first pop-up gallery during the Photo Ireland Festival. This is a pretty exciting collaboration for Cork Analogue Photographers and Guerilla Exhibition. Watch out for us on the streets of Dublin this summer! 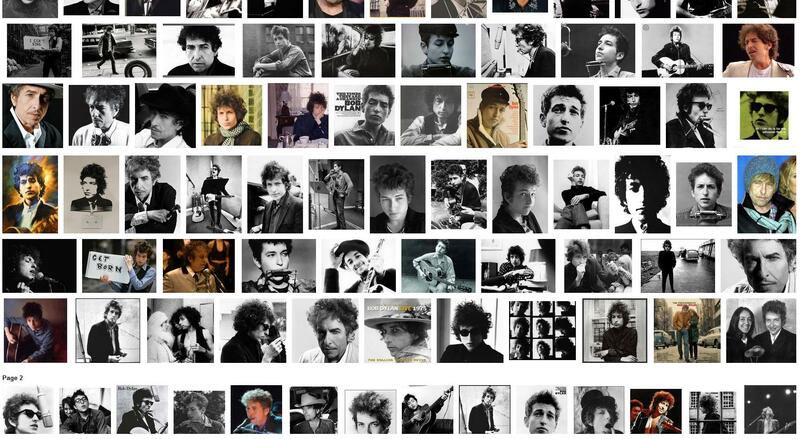 Go to Google Images, type Bob Dylan, voila ... click for big! Happy Birthday Bob Dylan! 70 today, May 24th 2011. How will he celebrate that one (will he celebrate that one?!). My Dad had one Dylan album when I was growing up – one of the greatest hits ones. Dad isn’t a fan. I remember liking Subterranean Homesick Blues, but otherwise wasn’t moved much. Then for a while in college I went through a bit of a phase, but it didn’t last. Punk rock, ska, 90’s Indy stuff, all took over. Until 7 or 8 years ago, and Dylan started to drift back in, then became a bit of an obsession. Now I’m safely through to the other side, and can just enjoy him! So how to celebrate his birthday? Well if you’re a fan, play him loud. In the house, out in the car, washing the dishes. The world wouldn’t be the same without him. Happy Birthday, Bob! Yes, $3,890,500. Who says art doesn’t pay?! I’ve long been a fan of Mike Johnston’s writing at The Online Photographer, and previously on Black & White Photography magazine, where I first began reading him. I have also been aware that he wrote for the Luminous Landscape website, but wasn’t aware of that site when he was writing for it. Anyway, the Luminous Landscape is an excellent website / resource, and well worth a trawl through for interesting old article on photography and cameras. I was trawling recently, and came across a wonderful old article (yes 2002 is becoming pretty old now!) that Mike wrote on b+w printing and achieving “the glow” – ie that ethereal quality that master printers seemed to be able to achieve easily, but hobbyists struggled to get anywhere near. “That rich, soft, pearly look that some master prints have. As if a soft light were coming from deep within the paper.”, to quote the article. Mike goes on to give a recipe of sorts that could be used to try to achieve the same quality. And this struck a cord, because it described things I have struggled with in the darkroom. Most photographers I know (myself included) who still photograph with b+w film will talk about it’s latitude (ie the degree to which the film can be underexposed and overexposed and still achieve useable results, or details in the negative). We will also talk about times that we have ‘pushed’ our film, say to photograph concerts at night in low light. To do this you expose the film at a higher ISO rating than what the film is rated for – say use 1600 ISO on a 400 ISO rated film, and then develop accordingly. This effectively is underexposing the film. You will get acceptable results. And grain the size of golfballs. I don’t want to quote any more without permission, but if you are still using b+w film and printing in the dark, or even scanning for digital prints, read the article here. It’s a quick, entertaining read. It’s not full of science and figures, but is a great stepped description to how you might, with practise, achieve a print that glows! ** I suspect this is good advise when you are shooting digitally too. Digital doesn’t have nearly as much exposure latitude as traditional b+w film, and you have to be very careful not to over expose to much, to avoid clipped highlights – ie very bright parts of the image with absolutely no detail in them. But underexposure in digital, particularly in the shadows, will induce noise if you try to bring out the detail in those shadow areas. And noise ain’t pretty – even grain the size of golf balls is preferable!